A beautiful Winter Wedding at Chestnut Ridge Golf Resort for Elizabeth and Daniel! What a great couple to work with and a fun friends and family packed the dance floor all night. 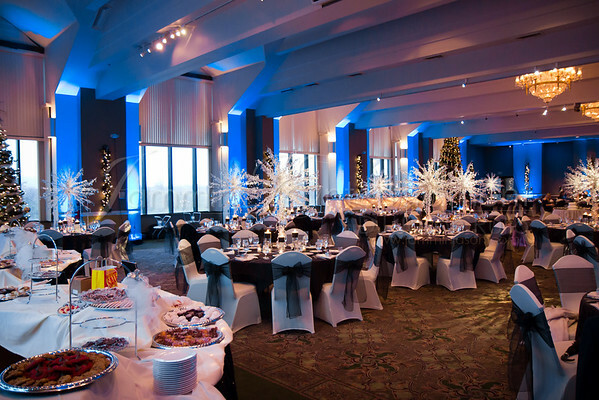 Throughout the room we provided Winter Blue uplighting to go along with the winter theme. We also provided a custom projected monogram on the dance floor. Check out the photo below and click this Gallery link to see more!